Crohn’s disease, an inflammatory disease, is painful and often debilitating, but you can manage the symptoms and minimize complications with treatment. At Arlington Gastroenterology Services, board-certified gastroenterologist Hamid Kamran, MD, FACG, provides effective, personalized treatment plans for Crohn’s disease. For help living with Crohn’s, call the office in Arlington, Texas, or use the online booking tool. Crohn’s disease is a chronic inflammatory condition that affects your digestive tract. It’s a form of inflammatory bowel disease, a group of conditions that also includes ulcerative colitis. Crohn’s disease most often affects the lower part of your small intestine, also known as the ileum, though it can affect any part of the digestive tract. The symptoms of Crohn’s disease are painful and often debilitating and usually appear between the ages of 15 and 40. The disease can sometimes lead to life-threatening complications. Though there’s no cure for Crohn’s, treatment can dramatically improve symptoms, boost your quality of life, and reduce the chance of serious complications. Further, the disease can go into extended periods of remission, lasting up to a few years. Often, when Crohn’s disease flares up, you feel generally unwell. Common general symptoms of the disease include fever, fatigue, and a lack of appetite. The chronic inflammation of Crohn’s disease can lead to serious complications. You may develop ulcers, or open sores, along your digestive tract, and fistulas, which are abnormal connections between body parts. Symptoms of Crohn’s disease come and go during your life. Treatment focuses on minimizing the frequency and severity of flare-ups and helping you experience longer periods of remission. Though Crohn’s disease is lifelong and there’s no cure, treatment can help you cope with the disease and live a happy, fulfilling life. Medication for Crohn’s disease can directly treat symptoms and target your body’s inflammatory response. 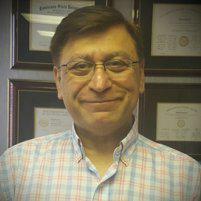 Types of medications Dr. Kamran prescribes include anti-inflammatories, immune system suppressors, and antibiotics. A key part of managing Crohn’s disease and minimizing flare-ups is avoiding your “triggers.” Dr. Kamran helps you maintain a nutritious diet while steering clear of foods that make your symptoms worse. You may benefit from other changes including minimizing stress and stopping smoking. Though medication and diet can improve the symptoms of Crohn’s, you may still need surgery to remove the damaged portion of your digestive tract and rejoin the healthy portions. This usually leads to extended remission. Surgery may also be necessary to treat fistulas. To get help managing Crohn’s disease, schedule an appointment at Arlington Gastroenterology Services online or over the phone.